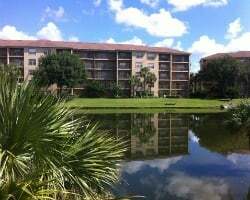 Just minutes from Walt Disney World, *Liki Tiki Village* boasts spacious two-bedroom townhouses and one-, two-, and three-bedroom high-rise condominium accommodations. On-site, guests will enjoy two pools (heated during fall and winter), two whirlpools, a children's pool, paddle boats, two lighted tennis courts, a game room, a sand volleyball court, picnic areas, and a freshwater lake. This resort features Liki Tiki Lagoon Water Adventure, with five water slides, a wave pool, erupting volcano, and toddlers area, plus Shipwreck Sally's Bar and Grill. Stunning resort in heart of Orlando! Enjoy access to the best local attractions! Use your annual week or exchange with Interval! Make an offer now! Beautifully themed Polynesian resort located in Central Florida! Week 2! Buyer may receive a title fee credit, inquire for details!! Terrific resort near all of the central Florida fun! Week 40! Buyer may receive a title fee credit, inquire for details! Experience the many onsite amenities and local attractions! Week 35 annually! Buyer may receive a title fee credit, inquire for details! Enjoy staying close to the Orlando attractions! Week 45 every year! Buyer may receive a title fee credit, inquire for details! 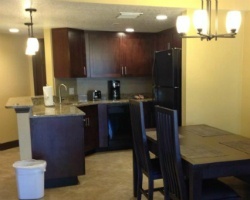 Experience luxury at this resort located in the heart of the Orlando area! Week 34! Buyer may receive a title fee credit, inquire for details! Within close proximity to major attractions! Week 14 every year! Buyer may receive a title fee credit, inquire for details! Great week at this terrific resort! Close to all the Orlando fun! Buyer may receive a title fee credit, inquire for details! Ideal resort for your family-friendly vacations! Close to all the famous Orlando attractions! Buyer may receive a title fee credit, inquire now! Resort features an onsite water park! Great for the whole family! Week 20! Buyer may receive a title fee credit, inquire for details! Perfect time of year for family vacations to enjoy the holiday activities in the Orlando area! Buyer may receive a title fee credit, inquire today! Ideal family resort with popular attractions nearby! Buyer may receive a title fee credit, inquire for details! Enjoy being only moments away from popular theme parks and other attractions! Week 46! Inquire for details! Just minutes from Disney, Universal Studios and SeaWorld! Week 27! Buyer may receive a title fee credit, inquire for details! Central location near popular attractions! Enjoy a wide variety of amenities available onsite! Week 51! Inquire for details! Perfect location close to Disney and other Orlando attractions! Week 17! Buyer may receive a title fee credit, inquire for details!!! Only moments away from popular theme parks! Week 42 during odd years! Buyer may receive a title fee credit, inquire for details! Family friendly resort with many amenities! Week 6! Buyer may receive a title fee credit, inquire for details! Family friendly resort with many amenities! Enjoy the onsite waterpark and nearby activities! Inquire for details! Great week to enjoy this terrific resort! Make an offer today! 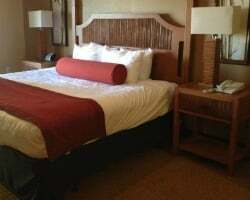 Great resort located near all of the Orlando area fun! Odd year week 44! Buyer may receive a title fee credit, inquire for details! 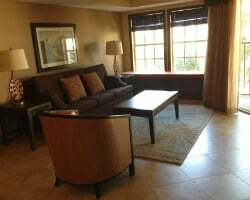 Resort is located just minutes from Walt Disney World and other world famous attractions! Buyer may receive a title fee credit, inquire for details! Family friendly resort! Many onsite activities for adults and kids! Annual week 15! Buyer may receive a title fee credit, inquire for details! All offers will be considered! February week in beautiful Florida! Buyer may receive a title fee credit, inquire for details!